In Le Marais, you will find the oldest planned square in Paris, Place des Vosges, with its typical red-brick buildings, arcades offering great perspective coupled with light and shadow play, a symmetrical parc with fountains, the equestrian statue of Louis XIII, art galleries and traditional cafés. 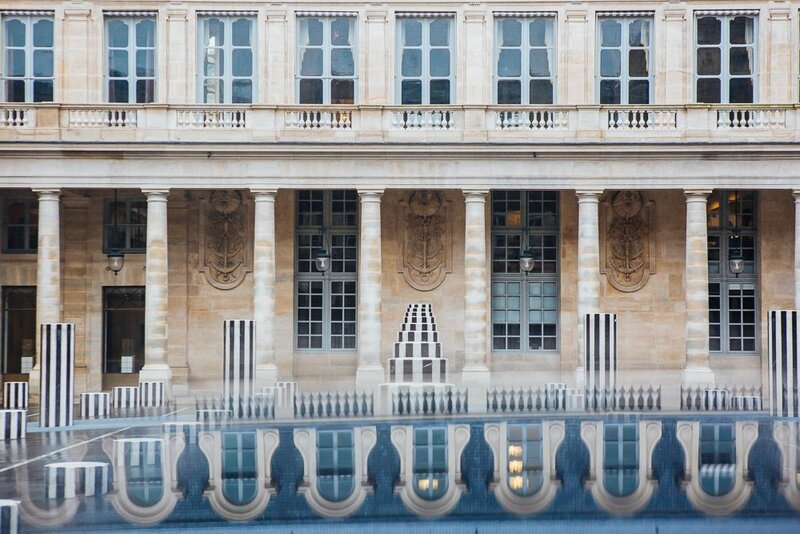 Repetitions, details, symmetry, reflections - these are just a few photo ideas that Place des Vosges provides. In one of the corners of the square, find a secret door that leads to the garden of Hôtel de Sully, a former private mansion built in 1630, and discover its two courtyards and a sundial on the northern wall. Next, move on to the little streets, full of finest boutiques, bookstores and little restaurants with colourful facades. Le Marais is often full of stylish bikers - a chance to practice some panning! If you enjoy photographing traditional architecture, visit the Carnavalet Museum (16 Rue des Francs Bourgeois, 75003 Paris, free access to both museum and beautiful gardens), the Picasso Museum (5 Rue de Thorigny, 75003 Paris) or the National Archives (60 Rue des Francs Bourgeois, 75004 Paris; from the main courtyard find an entrance to another hidden garden). Pay attention to old doors and door handles, balconies, statues and other details. For more colours (and a good lunch! ), stroll down the famous Rue des Rosiers, the heart of the Jewish area, full of Jewish bookstores, restaurants and épiceries. This is the place where an observant photographer, armed with some patience and of course respect, may capture interesting scenes of everyday life of Le Marais. When you have enough of the historic buildings and "old stones", move on further West towards Rue Beaubourg and discover the well-known home for modern art, Centre George Pompidou, a so-called "inside-out building". 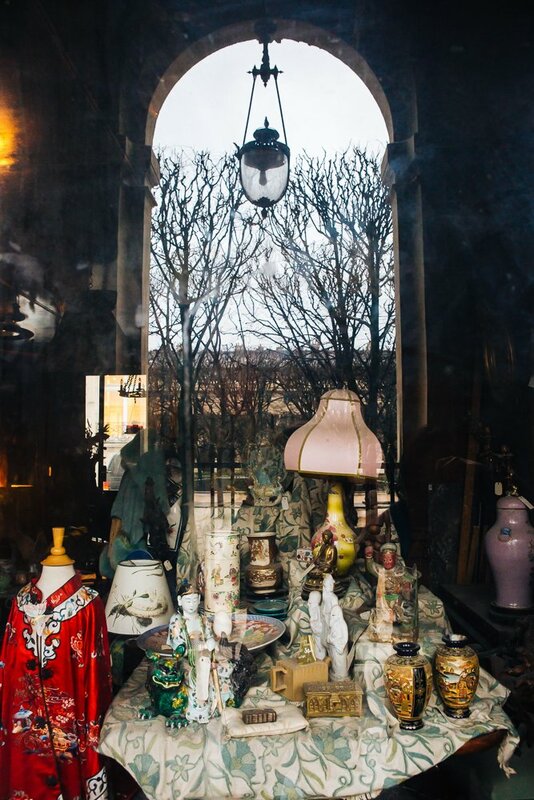 Capture it as it is emerging in front of you through the narrow streets of Le Marais (a wide-angle lens will help!). Walk around the whimsical Stravinsky fountain featuring scultures by Jean Tinguely and Niki de Saint Phalle and enjoy music and street performances on the square. 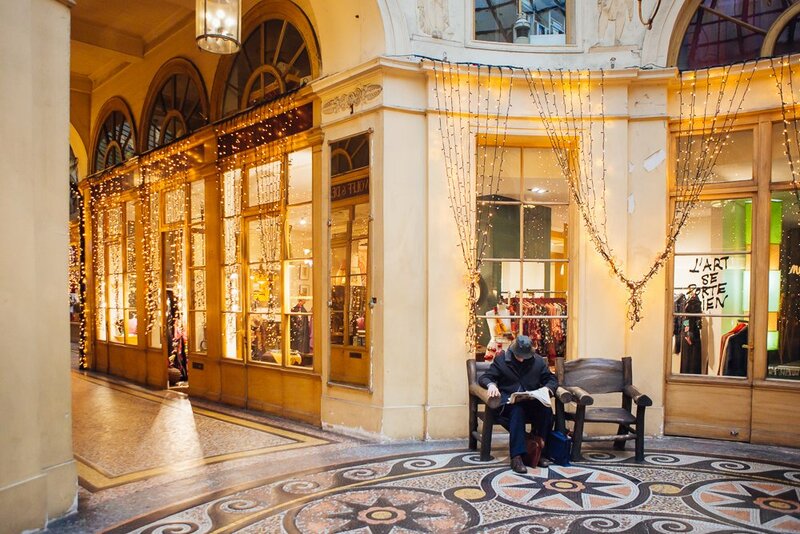 The best time to visit Le Marais is early in the morning, when streets are still quiet, with some occasional joggers or dogs walking their owners. The area gets busier around lunchtime, and on weekends it seems that every Parisian thinks of Le Marais as the place to be (on Sundays, some streets are even closed for traffic and are fully dedicated to pedestrians). As to the choice of lens, something in a range of 24-70 mm will suite perfectly. Do not bring a big zoom: in the narrow streets and compact gardens, a wide-angle will prove to be much more handy. 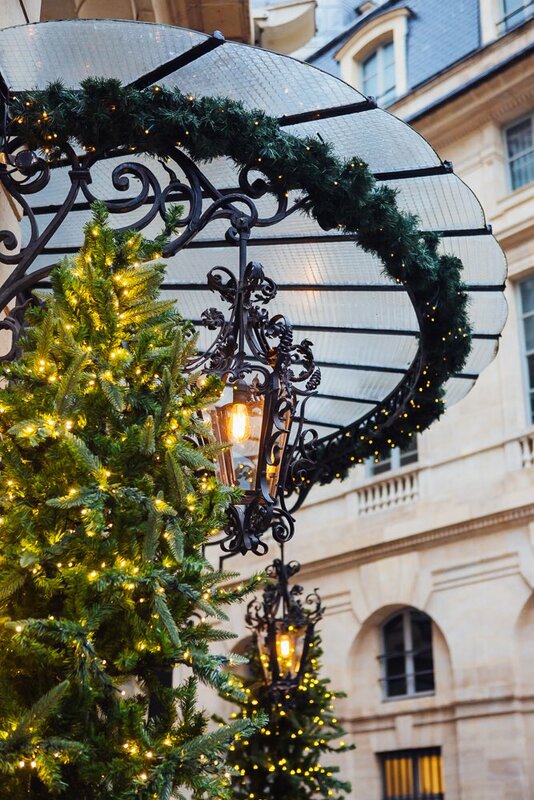 One may easily get lost in this labyrinth of Le Marais, which means that every time you come, Le Marais will unfold yet another of its multiple faces. Getting there: metro stations Hôtel de Ville, Saint Paul, Bastille on line 1 or Rambuteau on line 11.